The Parioli Theater in Rome, yesterday, 19 July 2018 hosted the XXII edition of the "Apoxiomeno Award", dedicated to the performing arts with cinema, sport and law enforcement agencies. The idea of ​​the award is of the Lieutenant Colonel Orazio Anania who, in addition to being the undisputed Artistic Director, presides over the Association "The Art of Apoxiomeno" with the aim of contributing to the promotion and dissemination of the culture of legality. The Apoxiomeno is an award dedicated to law enforcement represented in almost all the artistic forms that have accepted the theme of the uniform. For some years now it has assumed an even more special value due to the presence of important and prestigious protagonists on the international scene. In fact, the Apoxiomeno Prize recognizes and rewards the activity of the Police Forces of the whole world and of the authorities that fight with commendable courage for the protection and defense of fundamental rights. We therefore look at the work of security apparatuses and their men through the eyes of Cinema, Television, Literature, Art and Sport. For this reason, the recognition is assigned to individuals or institutions who, through their work or profession, have given, and give, luster to the police. The recognition, also this year, has been assigned to celebrities and international authorities, who, through their work or profession, have given prestige to the Police. 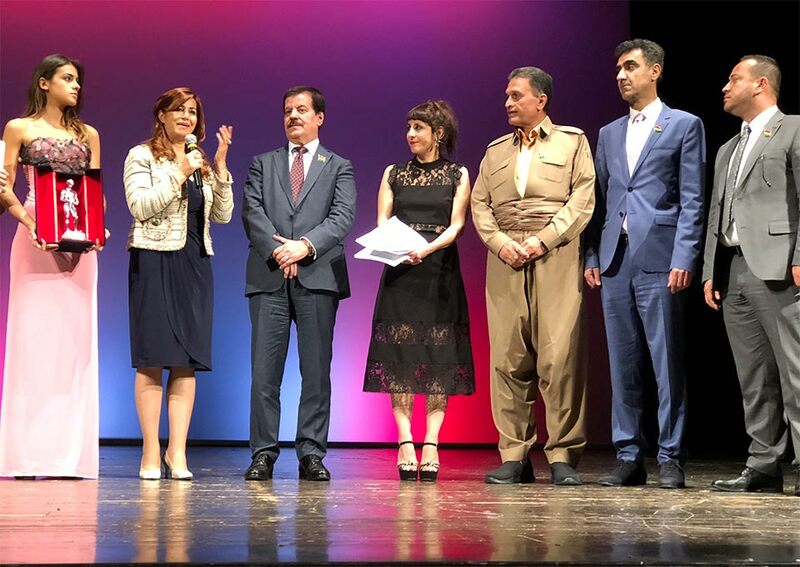 The First Prize in the category of Law Enforcement was handed over to the brave Peshmerga of the Kurdistan Regional Government, which in the last thirty years have suffered five genocides, fought for love of their country and have shown admirable courage in preserving the fundamental rights of men in the fight against Daesh, fighting to death. The intervention of the Peshmerga has safeguarded the multiethnic and religious mosaic present in the Kurdistan Region and in Iraq. During the ceremony, Jan Maciejewsky, a sociologist from the University of Wroclaw, was promoted in the category of Law Enforcement, the propulsor of the "Availability Groups" project employed by the Polish Police to coordinate the various fields of intervention and the General Command of the Romanian Police, represented by Col, Corina Georgescu for the other professionalism and commitment shown in international security. The Prize is represented by a silver statue, specially designed by the sculptor from Arezzo, Carlo Badii and represents the Greek athlete who cleanses himself of the oils used while greasing his body, through the use of the strigil, a theme taken from classical Apoxiomeno . The event was sponsored by the Ministry of the Interior, Mibact, Lazio Regional Council Presidency, Rome Administration, Guardia di Finanza General Command, Fire Brigade, Carabinieri Weapons, Coni, Fair Play European Movement, Fair Play National Committee, ANCRI, International Police Association.